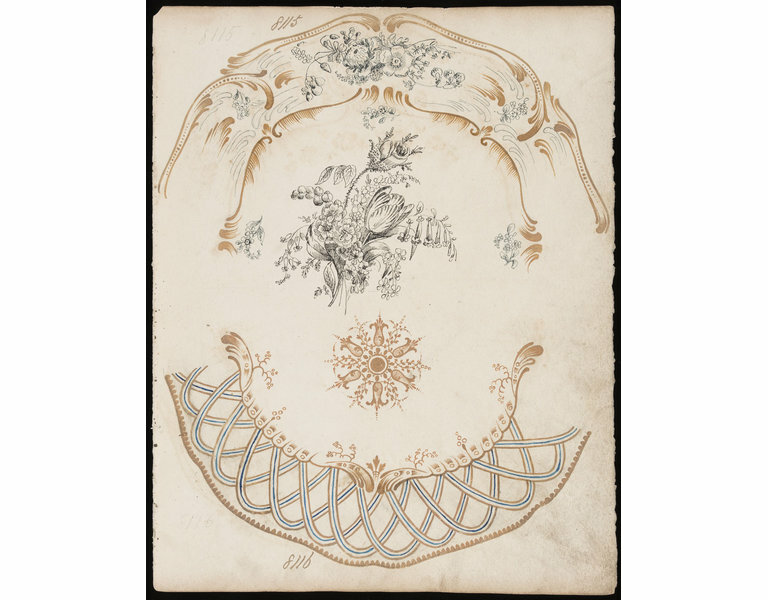 Pattern books were kept in factories for staff to consult, including directors looking for new and attractive designs to put into production, and the painters employed to decorate the ceramics. Today, pattern books are of interest to designers, students and collectors, for the important role they play in identifying ceramics and for the fascinating variety of patterns they contain, most of which never made it into production. Design drawing in pencil, pen and ink and watercolour on two sides of the same sheet. 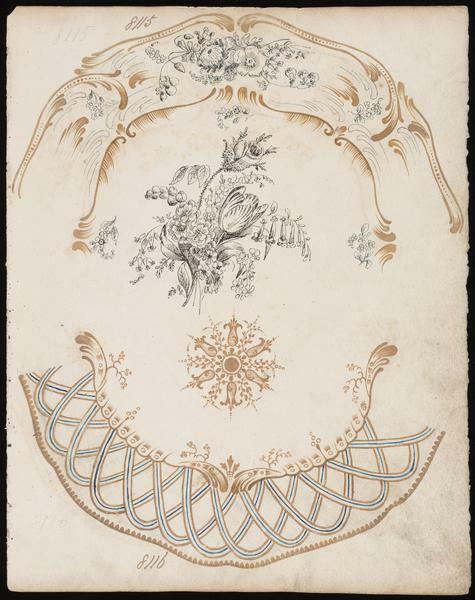 On the front are designs for two plates. One is decorated with naturalistic floral motif and border. The other has geometric decoration.These are numbered 8115 and 8116. 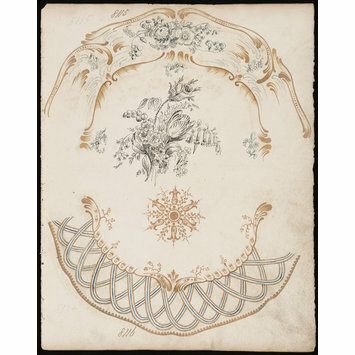 On the back are a further two plates with floral decoration. These are numbered 8117 and 8119.